This year, we at Panararmer are celebrating our 35th birthday. We have been crafting dream kitchens, bathrooms and bedrooms for our customers since 1983, and during this time we have amassed a wealth of experience in creating beautiful, bespoke rooms finished to the highest standard. From the initial design phase all the way through to the completed installation, our customers are consulted and kept in the loop at every stage of the process to ensure their ideal room is realised. Time and time again our clients let us know how impressed they are by our level of professional project management. All of our work is carried out by our team of experienced tried, tested and trusted local tradespeople in the fields of plumbing, electrics, plastering and tiling. Established by two brothers and their wives, this family business, situated in Leasgill, near Milnthorpe, has grown from humble beginnings into the thriving business it is today. At Panararmer we understand the importance of our customers seeing the high-quality, finished product before they make a purchase. That’s why our showroom, which is in easy reach of Kendal and Lancaster, offers an extensive variety of kitchen, bathroom and bedroom designs. We pride ourselves on offering a complete and outstanding service, from the design’s inception to the finished installation. Your household kitchen might simply be a room where you do the cooking, but for many people, it’s the central hub of their home. It’s where the family gathers at the end of the day and catches up, where the children do their homework or where your friends stop by for a cup of tea and a chat. Whatever you want your kitchen to be, our designers can help you realise your vision, whether it be cosy and traditional, or contemporary and chic. No kitchen is too small for us to work our magic; we work with innovative storage solutions to make the most out the smallest spaces. We specialise in Mobalpa Kitchens; these exquisite French designs are bespoke and made to order, and our new range of units are fitted on lower plinths that give an extra 20% storage space (that’s the same as an extra drawer right around your kitchen). With 36 models to choose from, both contemporary and traditional, you are guaranteed to find one to suit your tastes and budget. Any of our kitchens can be fitted with Bosch and Neff kitchen appliances or be built around an Aga or range cooker. Our kitchen surface options include granite, stones, Lakeland slate and a wide range of laminates. Once you’ve selected the perfect design and style for you, our in-house kitchen fitters will plan the entire installation with a team of specialist contractors. At Panararmer, we know that people have busy lives, and they want their home improvements done with minimal disruption to their homes. Our workers are reliable, tidy and endeavour to carefully manage the installation around you and your family, always aware of being as accommodating to you and your family as possible whilst they work. We specialise in transforming small spaces into wonderful, well thought out rooms with enough space for everything you need. Even a small bedroom can be transformed with some imaginatively designed storage and high-quality fitted bedroom furniture. You can choose from the luxury Laura Ashley fitted bedrooms range or Urbano by Symphony range of bedroom furniture. With our various storage options, such as built-in sliding wardrobes, it’s amazing how much space can be freed up in your bedroom, making it easier than ever to keep your space clean and clutter free. We also specialise in bathroom designs, from traditional or sleek, modern furniture from Utopia, with a wide range of designs to choose from. You can even choose one of our wet room designs and walk in showers, perfect for that stylish modern bathroom or for accommodating any member of your family who has mobility difficulties. 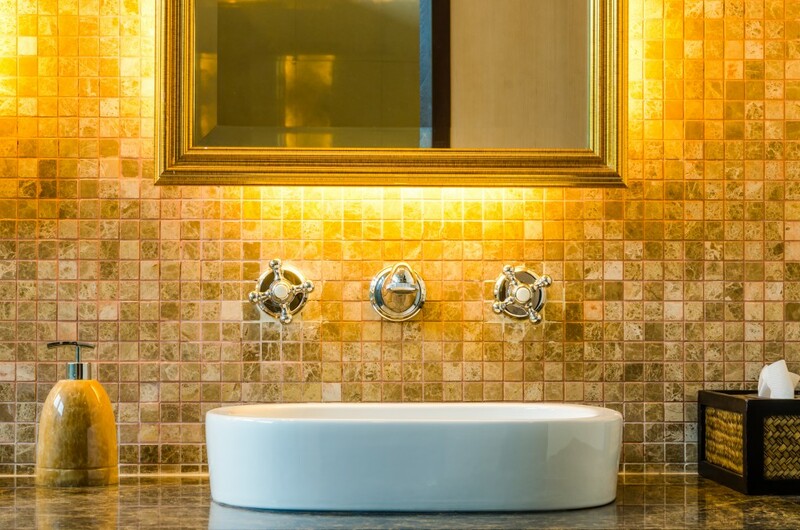 Beautiful final touches can be added in the form of ceramic and porcelain tiles, built under lighting and demister mirrors. At Panararmer, we are proud of everything we have accomplished over the last 35 years. Providing incredible installations to customers is something we will continue to strive for, and we look forward to the next 35 years.